In March 2019, Stuart received a British Academy/Leverhulme small grant for archival work for his forthcoming book The Early Foucault (full story here). Stuart's book, Shakespearean Territories, was published by University of Chicago Press in December 2018. You can read more about the book here; and a Warwick news story here. In February 2019 his study of French philosopher and historian of science Georges Canguilhem was published by Polity. Michel Foucault's Les Aveux de la chair - the fourth volume of his History of Sexuality - was published in February 2018. Stuart has provided some comment on the book for Warwick's news service, and has been quoted in The Guardian and The New York Times, among other reports. A full review essay is available at the Theory, Culture and Society website and journal. Foucault: The Birth of Power, was published in January 2017. Foucault's Last Decade was published in April 2016. There is a brief news story on the first book here, a blog post about the second here; and an essay on the books and their research at Berfrois. Foucault's Last Decade is discussed at New Books in Critical Theory; with Peter Gratton, Eduardo Mendieta and Dianna Taylor in Symposium; in a shorter interview with Thomas Roueché in Tank Magazine; and with Antoinette Koleva in Foucault Studies. There are extensive review essays of both books in The Nation and in 3am Magazine. All are open access. Two books by Henri Lefebvre were published in English translation in 2016. Metaphilosophy was published by Verso. Stuart edited the translation by David Fernbach, provided the notes, and wrote an introduction. Marxist Thought and the City was published by University of Minnesota Press. Stuart wrote a preface, and the book was translated by Robert Bonnano. 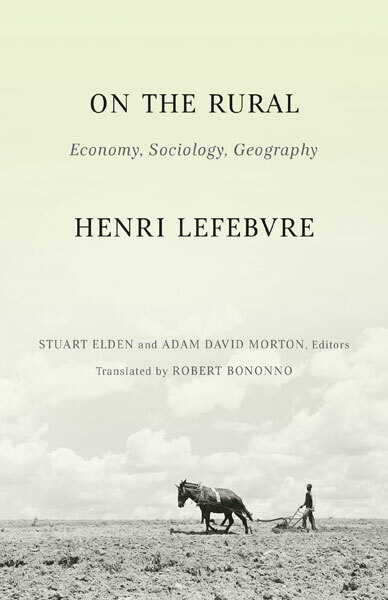 Along with Adam David Morton he has received a small grant from the ISRF to fund a project translating and editing Lefebvre's writings on ground rent and rural sociology - more details here. In June 2015 Kostas Axelos's book Introduction to a Future Way of Thought: On Marx and Heidegger was published by Meson Press. Stuart edited the text and wrote an introduction. The book is available open access or print-on-demand. In June 2015 a long interview with Stuart was published on the Theory, Culture and Society website. He also published a review essay on Foucault's 1971-72 lecture course at Berfrois. In November 2014 he gave a public lecture at the Nottingham Contemporary gallery entitled 'Foucault. Subjectivity and Truth'. In September 2014 he gave a lecture entitled ‘Crises of Territorial Integrity: Iraq and Nigeria’ as one of two keynote addresses to the ‘Identity, Sovereignty, and Global Politics in the Building of Baghdad’ conference, held at Harvard University's Graduate School of Design. In March 2014 The Birth of Territory was awarded the Association of American Geographers Meridian Book Award for Outstanding Scholarly Work in Geography. You can listen to an interview on the book on the Moncrieff show on Irish Newstalk radio here. On October 16th 2013 Stuart was formally inducted as a Fellow of the British Academy, following his election in July. Stuart Elden's research is at the intersection of politics, philosophy and geography. His most recent books are Shakespearean Territories, published by University of Chicago Press in December 2018 and Canguilhem - a book on the French philosopher and historian of science Georges Canguilhem for Polity's Key Contemporary Thinkers series, published in February 2019. Other recent work has involved a sequence of books on the work of French philosopher and historian Michel Foucault for Polity. Two books are published so far - Foucault’s Last Decade and Foucault: The Birth of Power. A third book on the very early Foucault is in progress. With Adam David Morton he is working on a collection of translations of Henri Lefebvre's work on rural sociology and political economy for University of Minnesota Press. Alongside these book projects, he retains an interest in the question of territory, which most recently he has been thinking about in relation to the physical materiality of terrain. He has a BSc (Hons) in Politics and Modern History (1994) and a PhD in Political Theory (1999), both from Brunel University. His first post-PhD position was as a lecturer in politics in PAIS between 1999 and 2002; followed by eleven years in Durham University’s Department of Geography, where he was successively a lecturer, reader and professor of political geography. In 2013 he was awarded a Doctor of Letters (DLitt) on the basis of publications post-PhD, and was elected as a Fellow of the British Academy (FBA). He rejoined PAIS in September 2013. He holds an adjunct appointment as a Monash Warwick Professor in the Faculty of Arts at Monash University, Australia. 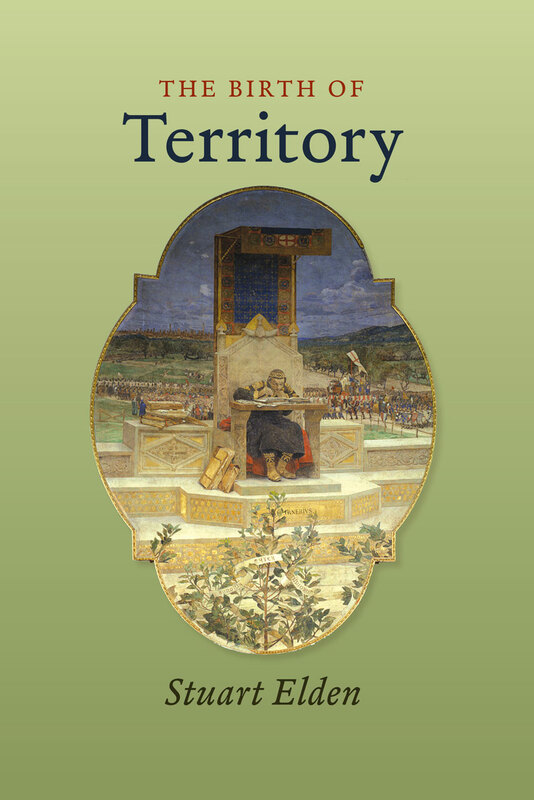 In 2014 The Birth of Territory was awarded the Association of American Geographers Meridian Book Award for Outstanding Scholarly Work in Geography, and was joint winner of the inaugural Global Discourse book award. In 2011 he received the Royal Geographical Society Murchison Award for work judged to contribute most to geographical science in preceding years for 'publications in political geography'. In 2010 his book Terror and Territory: The Spatial Extent of Sovereignty won the Association of American Geographers Globe Book Award for Public Understanding of Geography and the Political Geography Specialty Group Julian Minghi Distinguished Book Award. Between 2006 and 2015 he was editor of Environment and Planning D: Society and Space, having previously served on the editorial board. He is now editor of the Society and Space book series with Sage. He has also been the review editor of the Review of International Political Economy, and was one of the founding editors of Foucault Studies. He is on the editorial boards of Theory, Culture & Society and Geographica Helvetica. He is on the Advisory Council of Durham University's Institute of Advanced Study, and the Advisory Board of the Urban Theory Lab at Harvard University's Graduate School of Design. At Warwick he is a member of the Authority and Political Technologies research network, and an affiliated scholar of the Warwick Political Geography group. He has held visiting posts at the Corcoran Department of History, University of Virginia; School of Philosophy, University of Tasmania; Department of Geography, University of California, Los Angeles; Department of Sociology, New York University; Faculty of Arts and Social Sciences, National University of Singapore; Graduate School of Humanities and Social Sciences, Queen Mary, University of London; Department of Geography, University of Washington; the Humanities Research Centre, Australian National University; the Center for Urban Science and Progress at New York University; as a senior research fellow at University College London's Institute of Advanced Studies; and as a visiting scholar at ACCESS Europe at University of Amsterdam. In 2013 he worked with Al Quds Bard Honors College in Palestine as an International Scholar as part of the Open Society Institute's Academic Fellowship Program. PhD Supervision – projects in political geography; geopolitics; European political theory; and the history of geographical and political thought. Current students include Leo Steeds (PAIS), Tuur Drieser (Centre for Interdisciplinary Methodologies), and Melissa Pawelski (Modern Languages and Cultures). Recently completed PhDs include Mara Duer, Lorenzo Vianelli, and António Ferraz de Oliveira (all PAIS) and Ari Jerrems (Monash University). 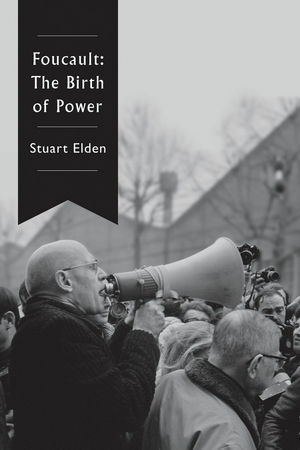 Over the past few years he has written two books for Polity Press - Foucault’s Last Decade and Foucault: The Birth of Power. The first, published in April 2016, discusses Foucault's work in relation to an intellectual history of his final project on the history of sexuality, using recently published lecture courses, unpublished work archived in France and California, and interviews. The second, published in January 2017, examines Foucault's early lecture courses at the Collège de France, and relates these to his work on prisons, asylums and health - both his academic writings and his activism. This book also makes extensive use of archival sources, especially the newly available material at the Bibliothèque Nationale de France. He is now beginning work on Foucault's work of the 1950s, for a book under contract with Polity entitled The Early Foucault. You can read more about the books on a page on his blog Progressive Geographies. As a side-project to this work, he has recently completed a book on Georges Canguilhem - one of Foucault's mentors. His next book to be published will be Shakespearean Territories with University of Chicago Press, which reads a number of Shakespeare's plays to examine different aspects of the question of territory - conceptually, historically, and politically. The argument is that while Shakespeare only uses the words 'territory' and 'territories' rarely, the concept is not marginal to his work. A number of his plays are structured around related issues of exile, banishment, land politics, spatial division, contestation, conquest and succession. Shakespeare was writing at the end of the sixteenth and beginning of the seventeenth century: a time when the modern conception of sovereign territory was emerging. He therefore helps us understand its variant aspects, tensions, ambiguities and limits. In using these plays the aim is to illustrate the multi-faceted nature of territory as word, concept and practice, and to shed light on the way we understand territory and territorial disputes today. Again, you can read more about this project on his blog Progressive Geographies. He has a long-standing interest in the work of the French philosopher and sociologist Henri Lefebvre. 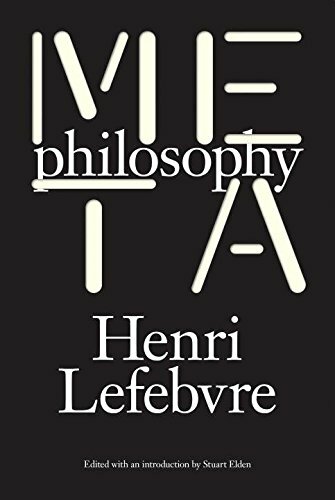 Most recently, he has edited and introduced a translation of Lefebvre's Metaphilosophy for Verso; and written a preface to the translation of Lefebvre's Marxist Thought and the City for University of Minnesota Press. With Adam David Morton(University of Sydney) he is working on a project translating Henri Lefebvre's work on the rural and ground rent, especially as these relate to contemporary land issues. The first output was a translated essay of Lefebvre's with an introduction in Antipode. The next stage of the work has been funded by the Independent Social Research Foundation and will lead to a co-edited collection of translations with University of Minnesota Press. He also edited a translation of Kostas Axelos's book Introduction to a Future Way of Thought: On Marx and Heidegger for Meson Press (open access e-book, 2015). He has also been developing themes from his earlier treatment of territory. The most recent was on the concept of terrain, understood as the materiality of territory – the forms, textures and processes that define particular spaces. Terrain is important in understanding territory because it combines materiality, strategy and the need to go beyond a narrow, two-dimensional sense of the cartographic imagination. Instead, terrain forces us to account for the complexity of height and depth, the question of volume. Terrain makes possible, or constrains, various political, military and strategic projects. It is where the geopolitical and the geophysical meet. All attempts at fixing territorial boundaries and shaping territories are complicated by dynamic features of the Earth, including rivers, oceans, polar-regions, glaciers, airspace and the sub-surface – both the sub-soil and the sub-marine. These complexities operate at a range of spatial scales, from the boundaries of nation-states to urban infrastructure projects. How can theories of territory better account for the complexities of the geophysical? His research on this topic has been funded by a Leverhulme Trust International Networks Programme grant for The Project on Indeterminate and Changing Environments: Law, the Anthropocene, and the World (the ICE LAW Project), led by Phil Steinberg at Durham University. Stuart is leading the sub-project on territory. 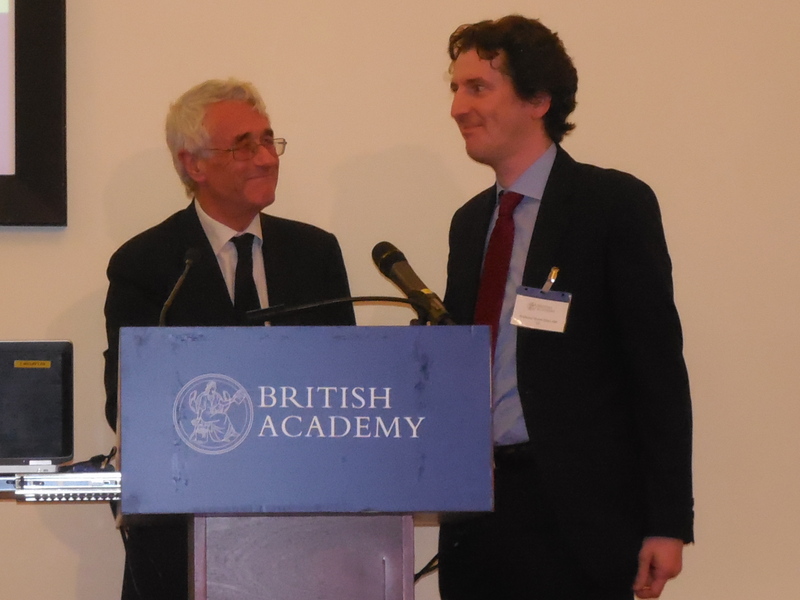 The first main statement of Stuart's work on terrain was delivered as the 2017 London Review of International Law annual lecture (video here) and published in the journal (available here). 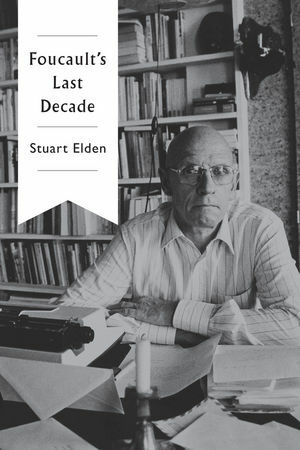 Foucault's Last Decade and Foucault: The Birth of Power were published by Polity Press in 2016 and 2017. His previous book was The Birth of Territory (University of Chicago Press, 2013), the product of several years of research including a Leverhulme major research fellowship. Some pre-prints of forthcoming articles and chapters can be found here.